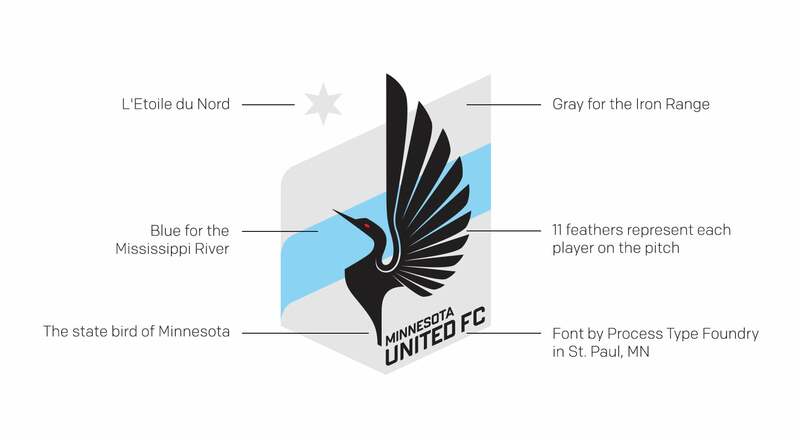 On the day of the big announcement that Minnesota United is joining Major League Soccer, we wanted to share one of our favorite Zeus Jones projects: the rebrand of the Minnesota United soccer team. We were excited to get a call from Nick Rogers in early 2013, asking us to help them rebrand our state’s pro soccer club. They had picked out the name, but needed our help creating a design that was uniquely Minnesotan. We wanted to create something that was unlike any other club in North America. Our goal was to create something that was truly of Minnesota, not just for Minnesota. While so many other athletic crests resort to using aggressive cartoon animals and soccer balls from the 80s, we wanted something that felt bold and timeless. Initially, we tried a wide variety of ideas from deer to stars to iron working tools. In the end, we combined several of our favorite ideas into one crest. The loon is the animal most closely associated with our state. The blue stripe represents the mighty Mississippi River, while the gray color is a nod to the rough material of our state’s Iron Range. The upward pointing crest and the star were inspired by “L’Etoile Du Nord,” our state motto. The typeface, Stratum, was designed by Process Type Foundry in St. Paul. Minnesota United joining Major League Soccer is a major moment not only for Minnesota, but for soccer fans worldwide, and we at Zeus Jones are excited to be part of the tidal wave of interest in our favorite sport. We can’t wait to share this moment with the full spectrum of soccer fans, from superfans like the Dark Clouds, to new fans able to watch soccer live for the first time, to the families who can now enjoy a fantastic new summertime activity. The future looks bright for Minnesota United. We can’t wait for what is next. We’ve been blown away by the response the identity has received from the soccer community. 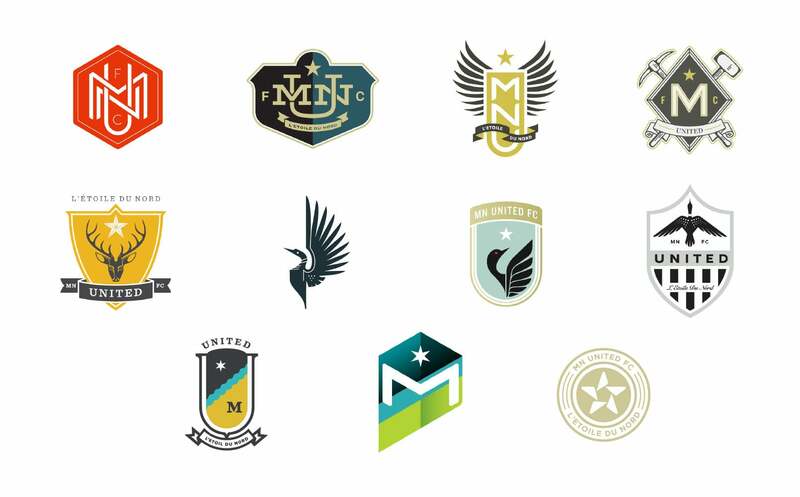 It was voted best crest by the MLS community on Reddit, USA Today had some kind words about the logo and kits, and Fox Sports thought the branding was one of the first things you should know about the club. Kare 11 was even kind enough to do a feature segment on the loon.